Radiation therapists have daily contact with their patients; therefore, they have the opportunity to build relationships over the continuum of care and gain understanding of the patient’s requirements and preferences for care. Effective patient assessment in a radiation therapy setting has been demonstrated to improve patient outcomes2. Radiation therapists are responsible for assessing each patient daily prior to, during and after treatment delivery3,4. 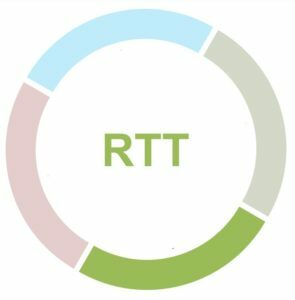 The specific elements and actions taken to assess a patient are bounded and defined by the Radiation therapist’s scope of practice. Radiation therapists initiate contact, make referrals, follow up and document when patients require referral to other healthcare providers. All information received from and given to the patient is thoroughly documented in the patient’s radiation treatment record and/or electronic medical record. All actions taken by Radiation therapists are also documented. Washington CM, Leaver D. Principles and Practice of Radiation Therapy. 4th ed. Elsevier Canada; 2016. Canadian Association of Medical Radiation Technologists. Competency Profile, Radiation Therapy. January 2014. Available from: http://www.camrt.ca/wp-content/uploads/2018/08/Modified-Therapy-profile-Final-.pdf. Accessed 24 Sept 2018. Kotronoulas G, Kearney N, Maguire R, et al. What is the value of the routine use of patient-reported outcome measures toward improvement of patient outcomes, processes of care, and health service outcomes in cancer care? A systematic review of controlled trials. J Clin Oncol. 2014 May;32(14):1480-1501. DOI: 10.1200/JCO.2013.53.5948.